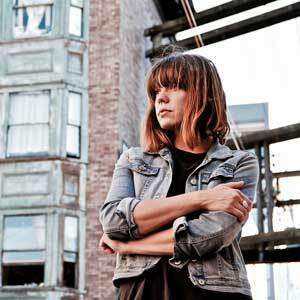 The Saskatoon-based roots singer/songwriter arrived on the scene like a bracing gust of fresh musical air with her 2014 debut record Sad-Eyed Lonesome Lady receiving unanimously enthusiastic reviews. “This is a monumental, brilliant album… heralds the crowning of a bright new talent,” declared Pop Matters in calling it the #1 Canadian album of 2014. No Depression termed it “a stunning debut,” while Exclaim! noted that “Sad-Eyed Lonesome Lady delights from start to finish. Steph Cameron is the real deal.” The record also made the coveted Longlist for the prestigious Polaris Prize in 2015.